Seas 19TAFD/G H0532-08 Tweeter. £27.80 excl. VAT. 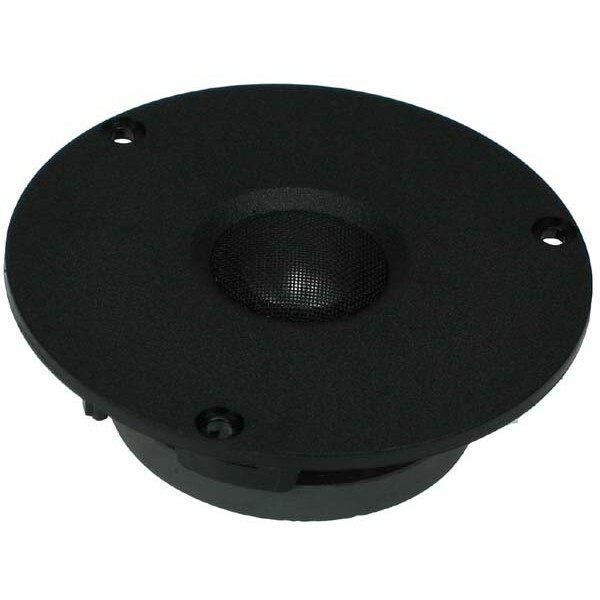 Prestige Series 19mm High Fidelity dome tweeter with extremely smooth and extended frequency response. Seas 19TAFD/G H0532-08 Tweeter is a Prestige Series19mm High Fidelity dome tweeter with extremely smooth and extended frequency response. An aluminum diaphragm and Sonotex suspension gives an excellent low fundamental frequency ( Fs) . The Double Magnet assembly reduces stray fields around the magnet system and allows the unit to be used in close proximity to a CRT. The double magnet also gives a higher sensitivity. A fine mesh grid protects the diaphragm and carries a phase plate which compensates for a slight axial roll off towards 20 kHz. Voice coil windings are immersed in ferrofluid increasing short term power handling capacity and reducing compression at high power levels.